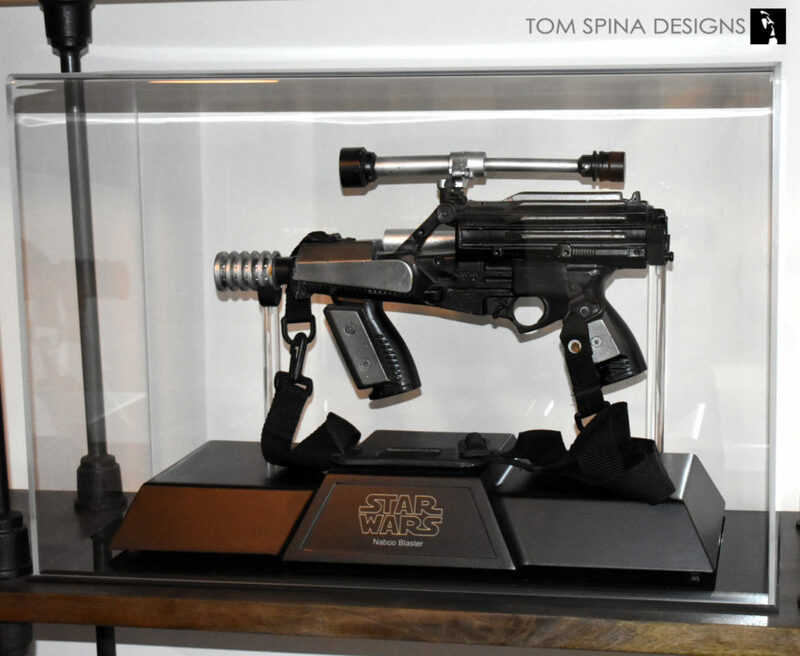 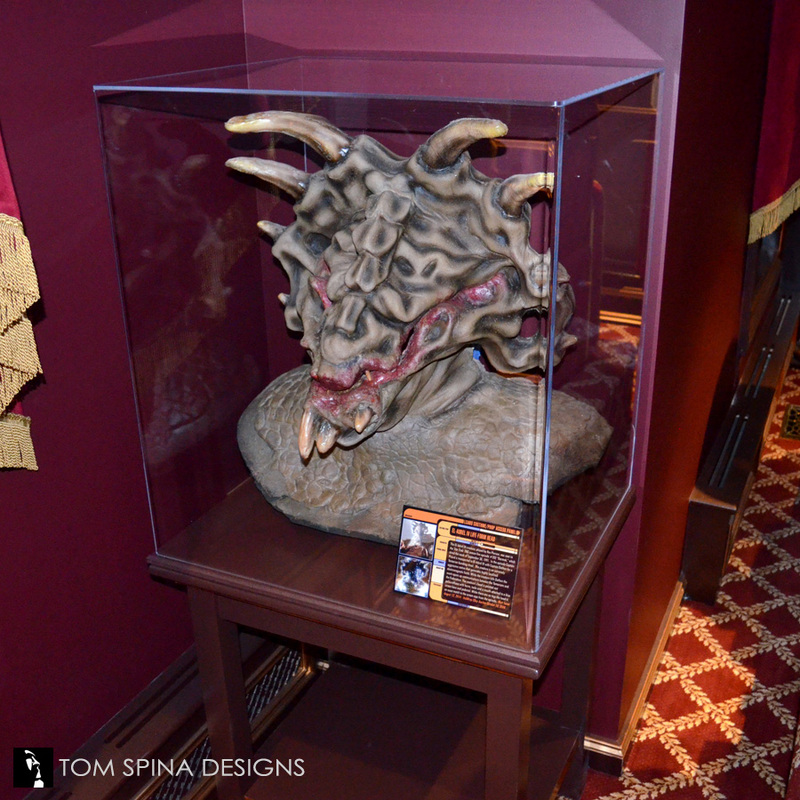 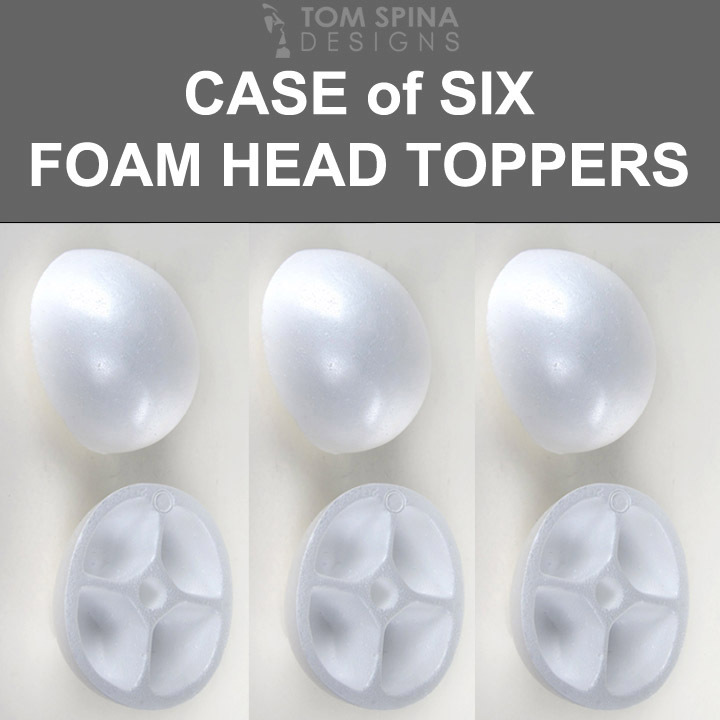 Home / The Collector Supplies Shop at Tom Spina Designs / CUSTOM Acrylic Display Cases – ANY SIZE YOU NEED! 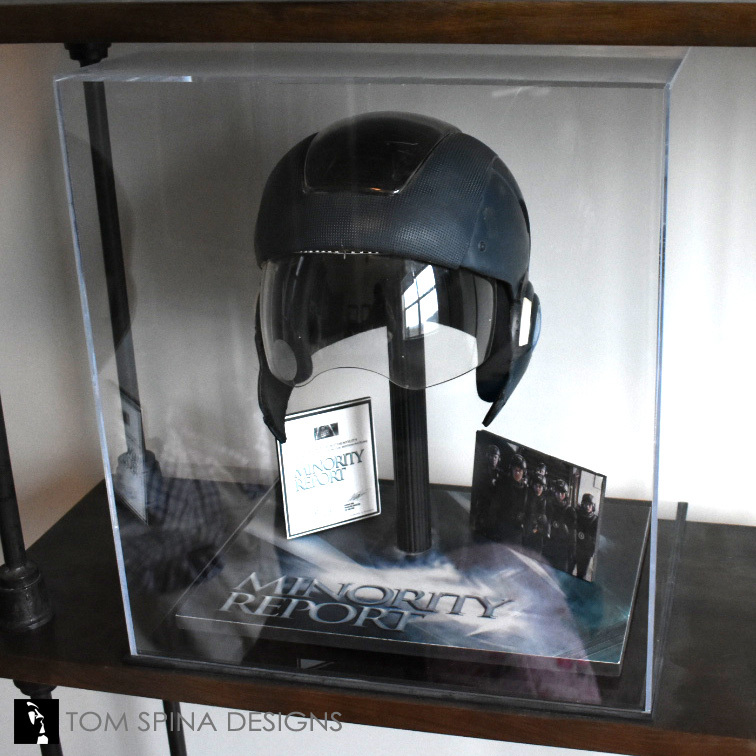 Your collection deserves MUSEUM TREATMENT with custom acrylic cases to protect your collectibles & make your memorabilia look great! 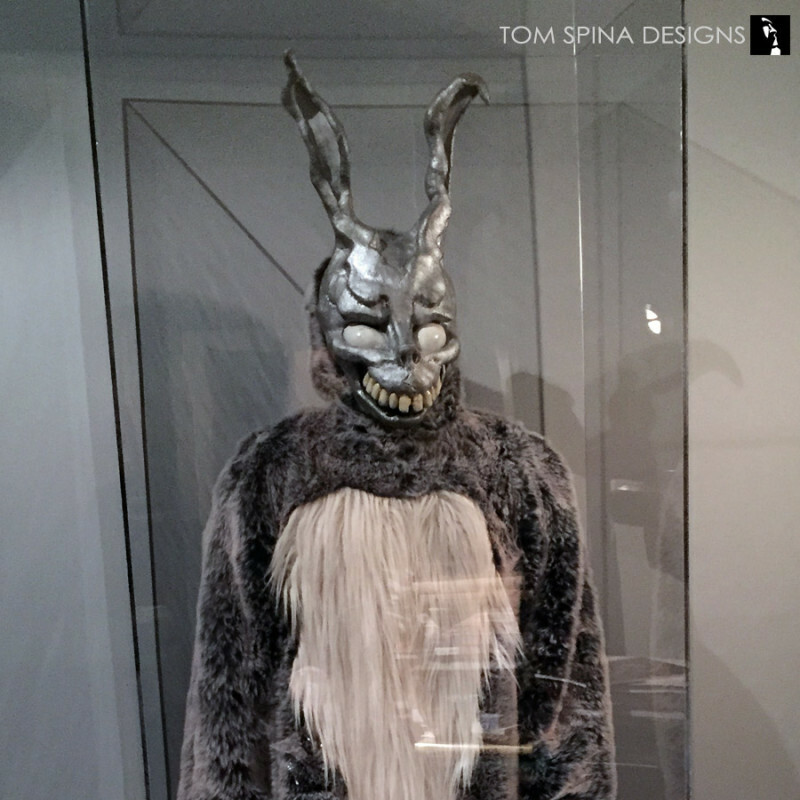 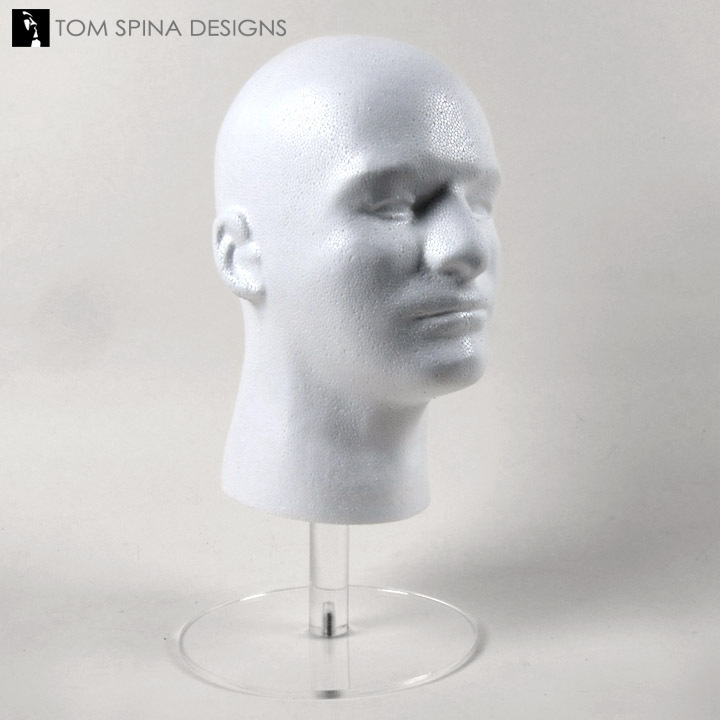 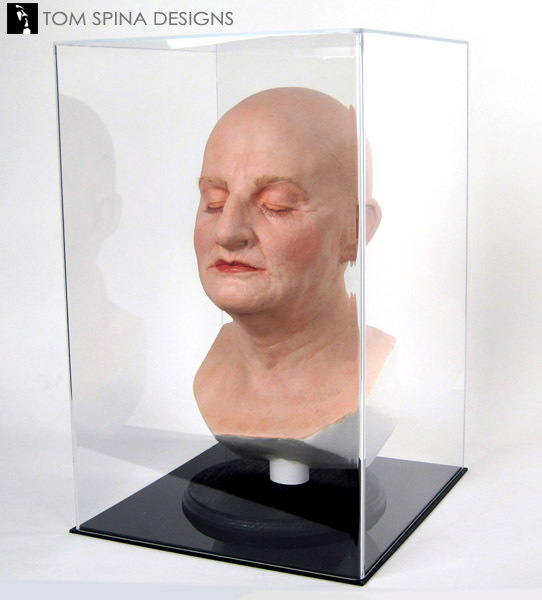 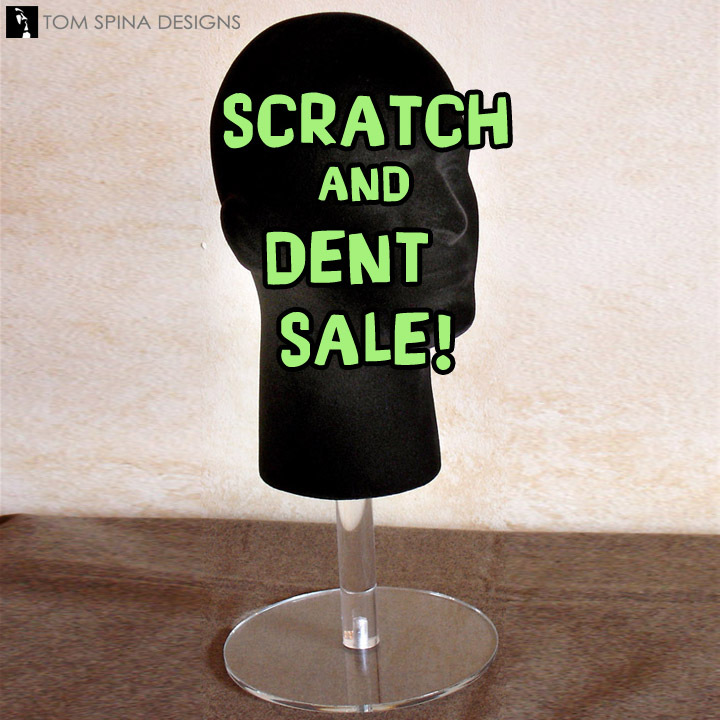 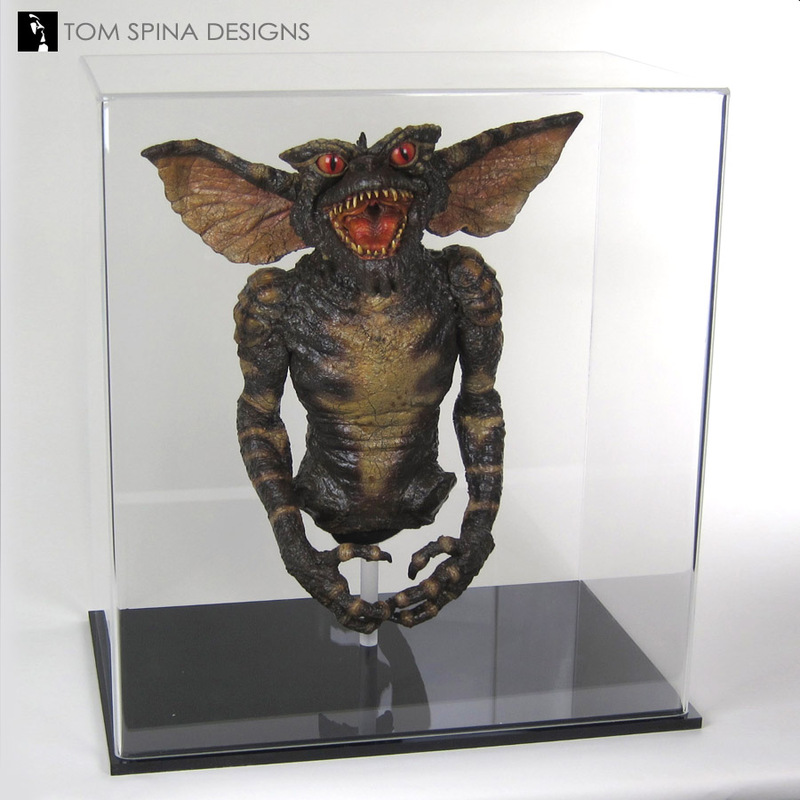 Here you’ll find for sale standard, custom-sized acrylic cases, made to order to display your collectibles, sports memorabilia, lego creations, movie props, foam latex movie masks and rubber Halloween masks, militaria or cherished heirlooms. 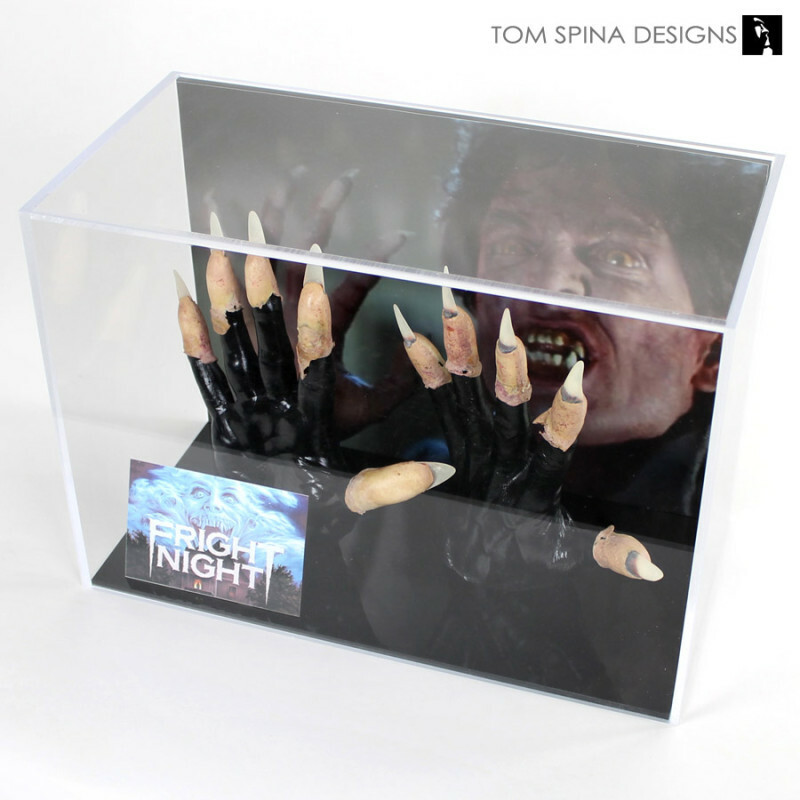 Our custom acrylic display cases are a great way to keep dust (and hands!) off your valuable collectibles! 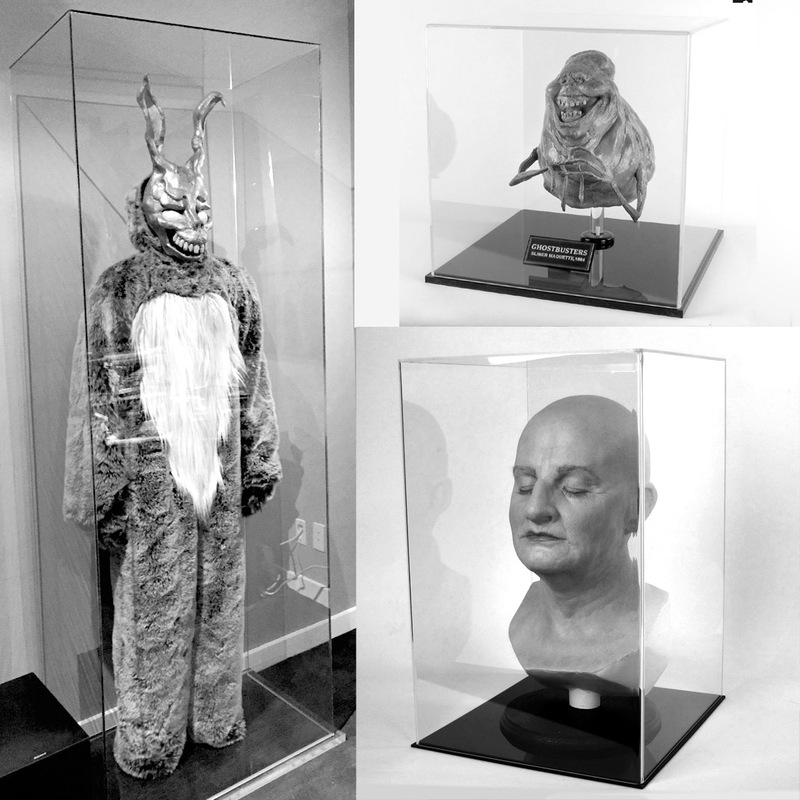 ORDER A CUSTOM MADE ACRYLIC DISPLAY CASE OR COVER! 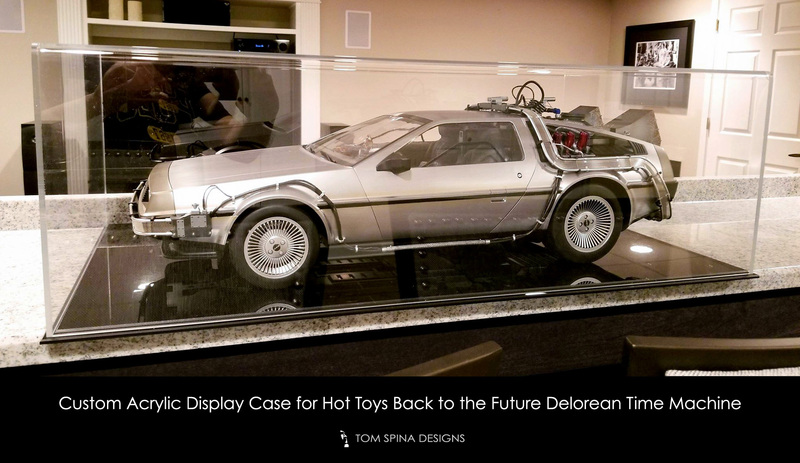 Our cases are for sale and made to order very quickly… usually shipping in just 1-2 weeks! 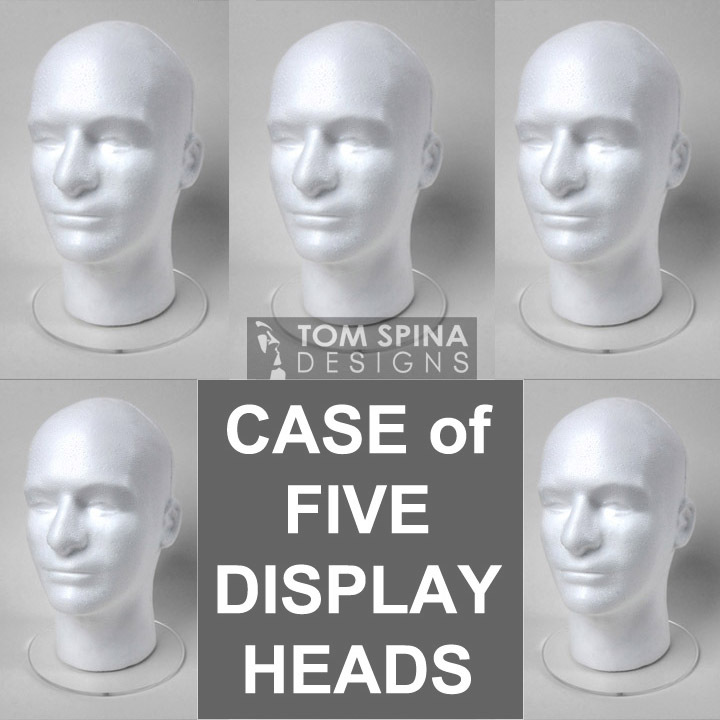 Each acrylic display case (or cover) is custom made to order to match the measurements you provide so don’t forget to include those and your address when you fill out the form above. 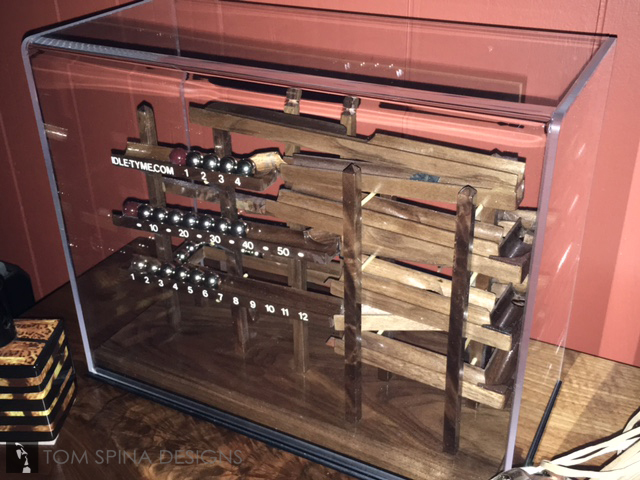 US SHIPPING will be determined when we estimate the price of your custom display case. 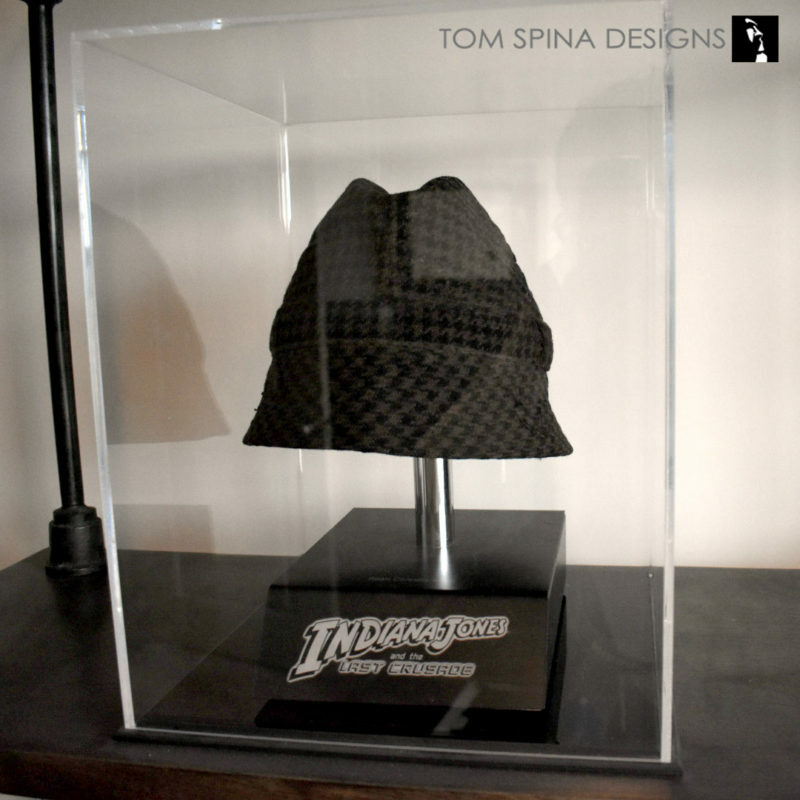 Fill out the form above and we’ll get back to you with a quote for your custom display case.